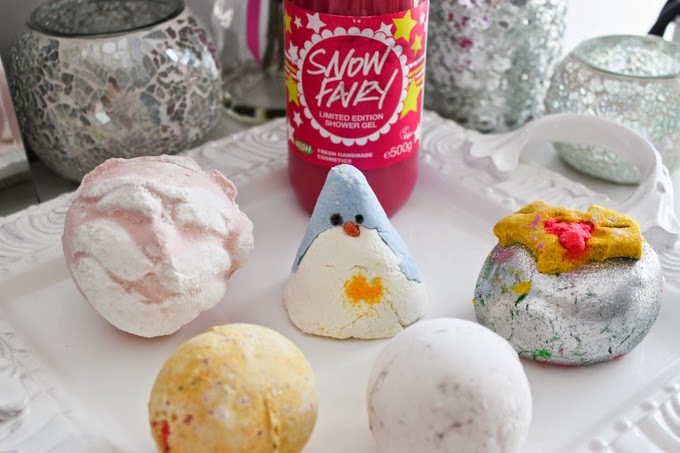 Although I was a little late to the whole Lush bandwagon- I only jumped on that train earlier this year- I couldn’t wait for their famous holiday themed bath bombs and shower products to come out and just had to snapped up a few of their festive goodies! Their best selling, limited edition, sweet bubblegum and candyfloss scented shower gel has got the whole world in a craze to get their hands on a bottle before they all go out of stock, until Christmas rolls around again next year. 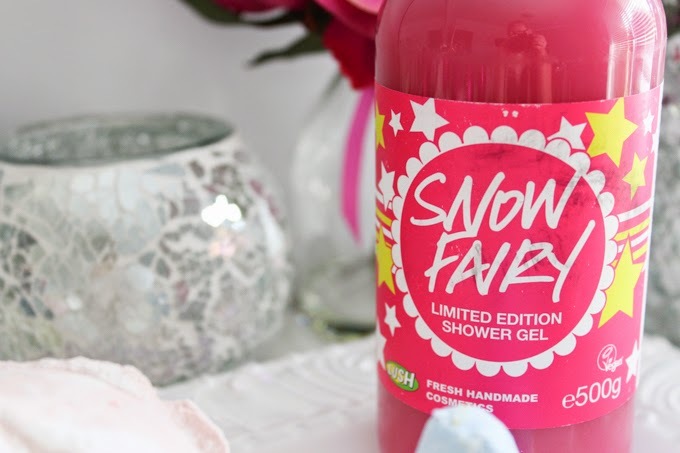 Rightfully named Snow Fairy, this shower gel will send you into sweet dreams of a Christmassy fairyland where all your worries will fly away. 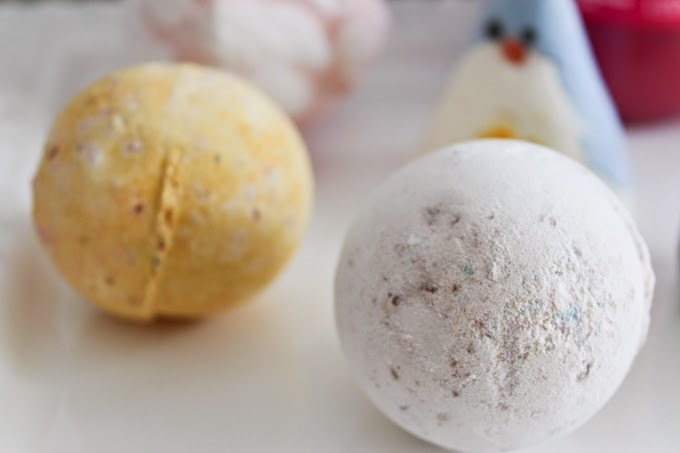 Not exclusive to the holiday season, and thank goodness because the Butterball bath bomb smells heavenly with scents of vanilla, musk, and most importantly cocoa butter. I can’t get enough of Lush’s bath bombs as they leave your skin feeling as smooth as a baby’s bottom and smelling delightfully fresh. 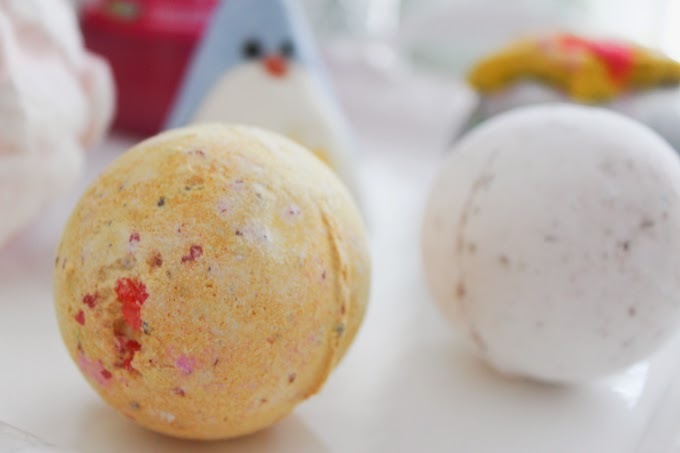 Described as a “jolly bomb for the bath”, the Father Christmas bath bomb not only looks incredible but smells deliciously sweet and almost reminds me of a bath bomb version of the Snow Fairy scent. I can’t stop smelling it now that I’m writing about it- an absolute Christmas must for any Lush lover. 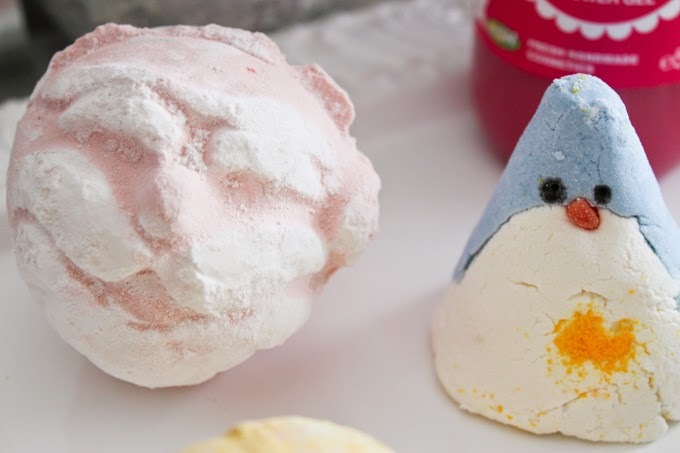 The Christmas Penguin, one of their Christmas bubble bars- personally my favourite as they create massive bubbles that you could have only dreamed about as a child- is super cute and subtly orange scented. I just couldn’t resist and had to pop this little guy in my basket. 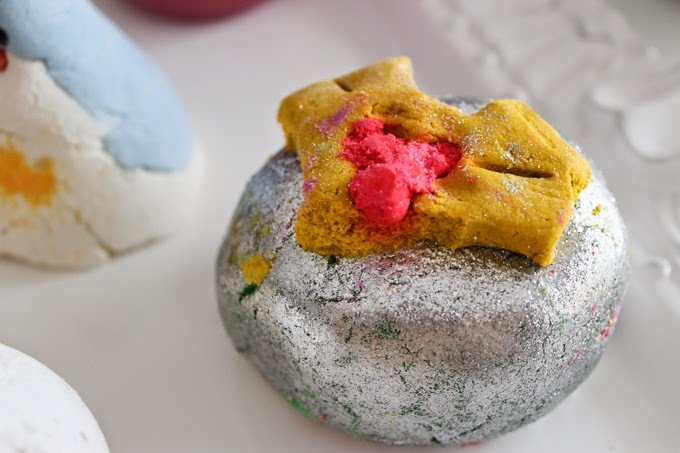 I think Cinders bath bomb is a true cult classic when it comes to the holiday season, and I cannot wait to drop this one in the bathtub tonight. With nostalgic scents of cinnamon and festive spices, this one will leave you reminiscing your favourite Christmas pastimes. It can’t go without a special mention to the wonderful and beautifully creative name given to this bubble bar, Holly Go Lightly. Another one of Lush’s marvelous festive creations, that smells of cinnamon and patchouli, and undoubtedly got me craving a warm bath with Breakfast At Tiffany’s.